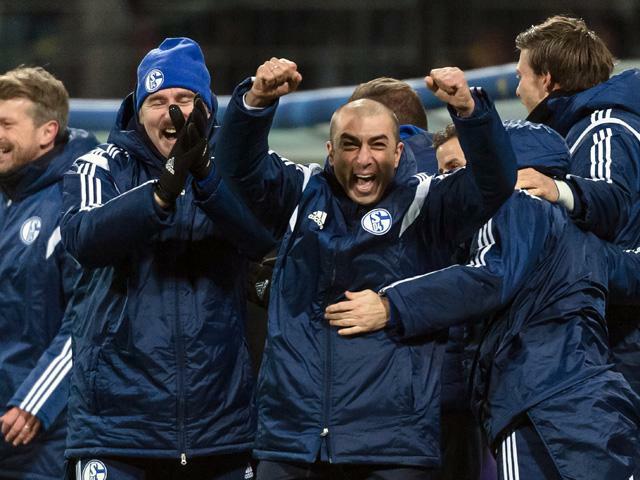 Is Roberto Di Matteo on his way back to English football? "The former Schalke, Chelsea, West Brom and MK Dons boss was entered into the market this morning and punters were keen to get involved." Roberto Di Matteo has emerged as a surprise favourite for the vacant Aston Villa managerial role. The former Schalke, Chelsea, West Brom and MK Dons boss was entered into the market this morning and punters were keen to get involved. Initial quotes of 10/1 were soon gone and the Italian is currently a 1/3 shot. The dramatic move suggests the former Champions League-winning manager will be the man charged with leading Villa back into the Premier League when the 2016-17 season begins. Villa are the current 8/1 favourites to win The Championship in 2016-17.